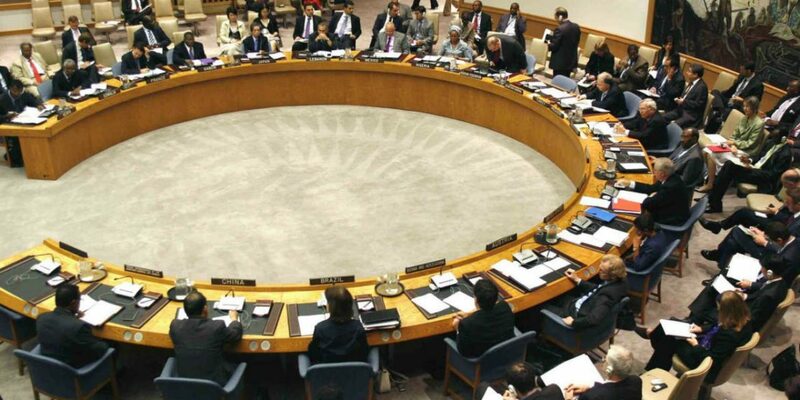 The United Nations Security Council expressed concern for continued insecurity in Colombia on Thursday and called on the national government to assume territorial control. The Security Council said so in a statement after mission chief Jean Arnault informed the international body of progress in an ongoing peace process with Marxist FARC guerrillas. Death squads and guerrillas violently assumed control in former FARC territory after the Colombian security forces failed to do so. Turf wars, criminal activity and the violent settling of disputes skyrocketed in the lawless areas. The members of the Security Council expressed concern about continued insecurity in some of the conflict-affected areas, in particular killings of community and social leaders, and urged the Government of Colombia and all responsible security and civilian institutions to act with urgency to expand their presence in such areas in order to address these concerns effectively. The report submitted to the Security Council said concerns remain over the continued assassination of community and social leaders. According to the report, 121 defenders of human rights, social and community leaders were killed in 2017. I’m concerned that, according to all sources, the murder of community leaders and human rights defenders has not stopped in the last three months despite the adoption of several measures to reduce the alarming number of killings registered in 2017. “Of particular concern are attacks on people working to implement government programs related to the replacement of coca and land restitution,” Secretary General Antonio Guterres said in a report. In regards to the security of demobilized FARC members, the report said there are still concerns for those that cannot count on protection from state authorities. The head of the UN Verification Mission in Colombia, Raul Rosende, called on the country to protect the lives of demobilized FARC guerrillas. “The transition to the legal life of the FARC must be protected,” Rosende told newspaper El Espectador. During the reporting period, the Mission registered the killings of 13 former FARC-EP members and 5 relatives, bringing the total number of such killings since the signing of the Peace Agreement to 44 former FARC-EP members and 18 relatives. This does not include the six former combatants who disappeared in October 2017. “A sizeable number of former combatants have left the territorial areas” amid failures to execute reintegration projects, pressure from recruiting dissident groups and unrest over a new government that takes office in August.. According to local analysts, some 1,200 former FARC members have rearmed. More than 14,000 people registered for demobilization last year. The increased violence in former FARC-controlled territory, especially in areas where drug trafficking is rife, caused homicides to go up 7%, according to Prosecutor General Nestor Humberto Martinez.